The oft quoted, and misquoted, line from Romeo and Juliet which formed a big part of my undergraduate drama education still creeps in from time to time when pondering the perils of nomenclature in contemporary Australia. For despite any idealistic declarations of love the teenaged Juliet may have made, they both end up dead in the end (spoilers!) and the final message is clearly that no, misnamed roses don't actually always smell as sweet. And so this quote was pumping through my head as the debacle from the latest Meanjin cover played out last week. In a bad editorial decision linked to representing content geared around analysis of the mass call-out of sexual harassment and assault, 'Meanjin', which is the Turrbal name for Brisbane, was partly crossed out to read #Metoo. Following quick action by Aboriginal writers Karen Wyld and Amy McQuire along with others, highlighting not just the continual desecration of our languages but also the erasure of Aboriginal women from #metoo dialogues despite us experiencing sexual violence at significantly higher rates, editor Jonathan Green submitted an apology and the online issue of Meanjin included an amended cover. As I watched this, I had many thoughts. One was that the journal was named Meanjin several decades ago due to its progressive and challenging content, yet that challenge to historical white supremacy had been forgotten in the contemporary. Another was concern regarding the alleged 'intersectional politics' I witnessed in the resultant, mainly non-Aboriginal, outrage — where points regarding language loss and violence perpetrated against Aboriginal women seemed to get lost in preference for calling out individual contributors who, while they do need to be mindful of privilege and how they reinforce theirs, did not actually design the cover. Finally though, I couldn't help but reflect on Aboriginal languages and how, when our words or histories do come to the forefront in this country, they're continually disrespected or treated as a massive threat to the white patriarchal status quo. I stated last week in conversations that I see Aboriginal words as a gift — not meaning that we are freely giving them to mainstream Australia for their unbridled use but rather that, in the face of continual assimilation policies ranging from Stolen Generation kids being flogged for using lingo all the way to continual threats against bilingual education programs in schools, the fact that we still have words and languages is a miracle. And therein also lies the key to the disrespect and downright hostility I often see our languages treated with. To this coloniser society, words can serve as a reminder of these horrific and genocidal programs, and also of how, against all odds, they did not manage to succeed. Aboriginal people are still here and still asserting culture. "When language is used or gifted, it is either maimed through thoughtlessness and mispronunciation, or it is downright rejected." Meanjin forms a good starting point because I have seen this phenomenon play out most often when it comes to place names. Take Uluru for example. 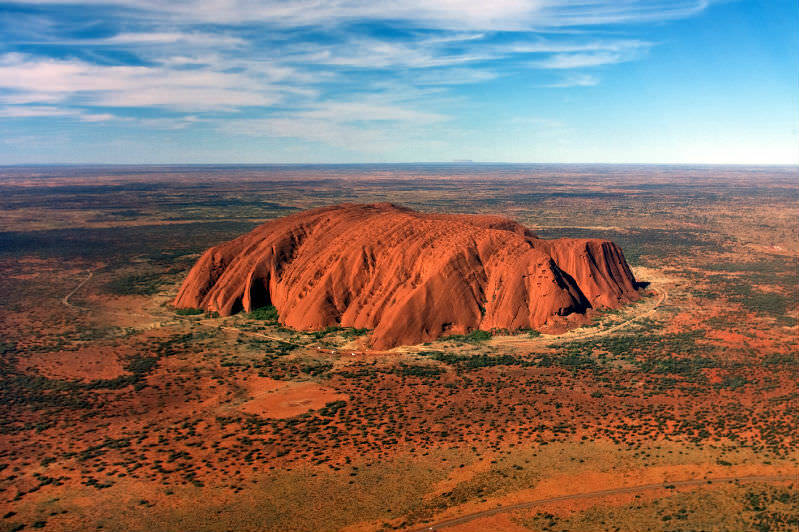 This sacred landmark was handed back to the traditional owners in 1985 and dual naming of it as Ayers Rock/Uluru commenced in a bid to educate visitors of its long cultural significance. It took another 17 years for the order of names to be reversed to reflect the true historical place of them. Despite this, it's still not uncommon to hear Australians obstinately state that they will continue to call it its 'real name' as if Uluru is some mere, politically-correct, imposition. They additionally fume when told they soon will not be able to climb it despite decades of educational programs run by traditional owners. Indeed, 33 years after the handback, the airport is still named Ayers Rock, with passenger flights branded accordingly. During Reconciliation Week, the Tasmanian Aboriginal Centre suggested the dual naming of Hobart as 'nipaluna' after several decades of research and extensive language revitalisation programs on the southern island. While the Lord Mayor of Hobart Ron Christie expressed enthusiasm, other City Council members did not and the Tasmanian government immediately stated its lack of support for the idea, outlining some vague commitment to 'inclusiveness'. While I note that coverage has included oppositional views from other Tasmanian Aboriginal groups and some traditional owner discussions could be ongoing, I also strongly believe that if dissension leads to alternate suggestions, there will always be resistance from the mainstream powers that be. These same powers convinced themselves for decades that Tasmanian Aboriginal people had been successfully wiped out. Every skerrick of language or culture retained and revitalised therefore exposes this great Australian lie. Speaking of the genocidal programs which took place in Tasmania, for the most part of the past two decades, I have lived in the federal electorate of Batman. Just last week, the Australian Electoral Commission rejected a call to rename the electorate 'Wonga', citing that not enough evidence for change had been submitted. The call to rename the seat has been going for years, with pushes coming from local Aboriginal community members, current MP Ged Kearney, and the Greens. Why? Because it was named for John Batman who, as well as signing an invalidated treaty with local traditional owners acquiring Aboriginal lands for blankets, tobacco and other such items, also was a leading figure in the Tasmanian Black Wars. He's not the only massacre leader honoured by the naming of an electorate after him, but as the public has become more educated through activism and outreach, the time is ripe for this tale to be corrected. Yet a report in NewsCorp publications bent over backwards to frame it as people trying to 'change history' rather than correct it. They even interviewed a descendent of Batman who put renaming attempts down to activists trying to 'get rid of the history and heritage of Australia'; never mind the heritage Batman erased via his massacres or the history that is conveniently forgotten in continuing his celebration. Swapping his name for that of respected Wurundjeri Elder Simon Wonga clearly threatens the white supremacist hegemony far too much by forcing kids to learn truths while expanding their local knowledge. Language is often considered to be the key to culture and knowledge. Through massacres, stolen generations and continued mainstream resistance and whitewashing, the use of Aboriginal language within mainstream contexts remains contentious mainly because by now it was thought all would be extinct. When language is used or gifted, it is either maimed through thoughtlessness and mispronunciation, or it is downright rejected. Yet our languages remain; either despite the best efforts of Australian policy makers, or due to the hard work of those in our communities who've pledged their lives to keeping them alive. Perhaps it's about time Australia started celebrating them and committing to a more knowledgeable future, rather than acting as their forebears did in just wishing these gifts of culture and resilience would simply die off? Thank you for this fine article Celeste. It reminded me of the more recent attempts to scuttle the Timorese people's identity by both Portugal and Indonesia. In both cases denigration was the underlying strategy. For Portugal, complete refusal or inability to comprehend the many Timorese languages led to 500 years of refusal to educate more than 2% of the population, that 2% required for bureaucratic purposes. For Indonesia, it was a quarter of a century of crackdown on both Portuguese and the Timorese languages, in a futile effort to Indonesianise the population. Paradoxically, the attacks on language backfired, and pride in such beautiful languages became an essential instrument for Timorese courage and unity. I applaud every effort to acknowledge the wonder and complexity of Aboriginal languages and the efforts to share and teach them. Challenging the dead wood of colonial attitudes remains an important Australian task. Fight on for your language and culture my Aboriginal friends. NZ has dual national languages, both English and the lovely Maori language. Keep going. It took well over 100 years before the Maori language was included. Wonderful, Enlivening, Informative. Thank you again Celeste. This is great. The "power of naming" is a huge part of colonial/patriarchal/capitalist... oh, I can't list them all. It's a huge part of the way power works, I think, and you explicate very clearly how that's what drives and structures the "debates" around all these examples - thanks. Language is at the centre of cultural identity. To downplay, denigrate or demean the language of a people is another form of racism and places one on the road to genocide. A timely article. Thank you. Written in the spirit of deeply felt and informed reason; with quiet authority. A wonderful article. I am a rugby tragic. When I listen to national anthems played and sung before test matches it is uplifting to hear the New Zealand and South African anthems both sung in the native tongues followed by the English. Such speaks of equality, of reconciliation and acceptance of each other, native and colonial. It is grown up. I wish this country had a national anthem sung in an Aboriginal language and followed by the English which would mean so much more than the current, childish pop song we call an anthem. The rugby starts with a welcome to country ceremony these days which is our nearest approach to maturity so far. I reckon it is time to have a new competition to choose our national anthem stipulating that it must include both cultures. Such an informing, passionate, and nationally relevant article: thanks Celeste. Thank you for your wise, true words. Language, and the way it is used, is the lifeblood of culture, and respect for culture therefore implies a respect for language, our own and that of others. There's no longer any excuse for anyone in Australia to feign ignorance of which languages and which cultures came first. Thank you Celeste. "Just wishing these gifts of culture and resilience would simply die off" ... When the oldest living peoples in Australia can survive thus far, it is a testimony to both your culture and resilience that you continue to stay present to what is sorely needed by all at this moment in history. I both congratulate and salute you all for your wisdom and generosity in continuing on in spite of all the obstacles put in your way. Bless you and thank you. Simon Wonga ? Sounds great, and Batman certainly should go. Uluru, of course, is right and increasingly used. But - like it or not - indigenous and part-indigenous people (often small part) will never get any referendum through on constitutional change regarding them by continued negative attacks on other AUSTRALIANS who are also mostly of "mixed" race anyhow nor by political correctness gone mad. (Two of my many forebears were African American convicts - of 11 on the 1st Fleet, others coming later- who, like many of their people freed by the British, had supported the latter against the American rebels, but being taken to Britain as free persons fell into poverty and minor crime.) And in the 50s, there was not an aboriginal person to be seen within a hundred miles of Uluru/Ayers Rock - and so few people had climbed it that a sheet of paper in a container had all their recent names. Thanks indeed, Celeste. I agree entirely. Not forgetting, Mary Tehan, that our Aboriginal people have had a lot of genuine health and monetary help towards their survival provided by the taxpayers of this country, something that is of our times not of the British colonisation of the greater part of the world that failed to recognise the very existence of native peoples. That attitude is long dead in this country. We can't change the past but can determine the future. That is what the Aboriginal people need to do - there is so much that rests in their hands alone and they can with application change things if they have the will. For some years, up to the closure of Balgo Mission on the edge of the Tanami Desert, W.A., a Pallottine Jesuit-educated priest, Fr Anthony Peale, meticulously compiled a dictionary of the Gugadja/Kukatja language, regularly sending the fruits of his first-hand research to Sydney University. Needless to say, he and his confreres had great respect for these 'people of the desert', their appreciation of the local language being not the least evidence of their constructive presence and interaction. Celeste, a timely and very thoughtful article. Thank you. A small point however in terms of Uluru. Very few Anangu call it that. Most Anangu I know call it Ayers Rock or nothing at all. As far as I can ascertain, this is for a range of reasons - including respect, the name being kunamara at different times (not, I believe, at this present moment) and lastly (and most fascinatingly) because it may not even be a name Anangu have given to the rock. That is an assumption made by outsiders. What this tells us - and what whitefellas like me forget again and again - is that Aboriginal cultures are vast and diverse and as soon as you assume you know something, you learn a little more and realise how little you actually know. It is entirely possible that I will learn a little more and discover that I am wrong about 'Uluru', of course, but it is curious that the most cited example of wilful ignorance or shunning of a name may relate to a basic misapprehension.